Ethiopian | Hot vegan chick.....peas! This weekend we had a PPK meet-up at Zeni Ethiopian Restaurant in San Jose. I’ve been there before but this time was even better! 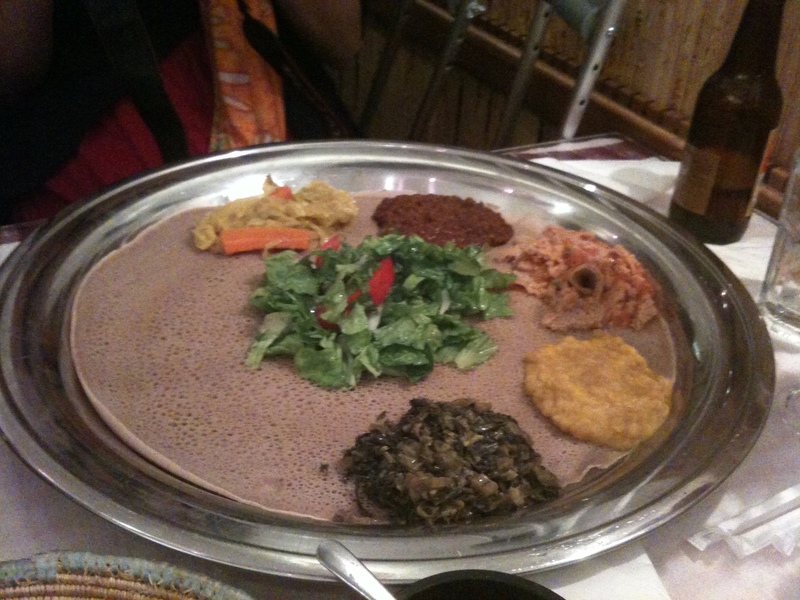 We ordered the vegetarian combo which included (clockwise, from top) a carrot, cabbage and vegetable stew, a red lentil stew, a scrambled injera & red pepper dish, a yellow split pea stew, simmered collard greens, and a green salad all served on top of a big piece of injera bread. BF and I shared a serving of lentil stew and split pea stew since those were our favorites last time. 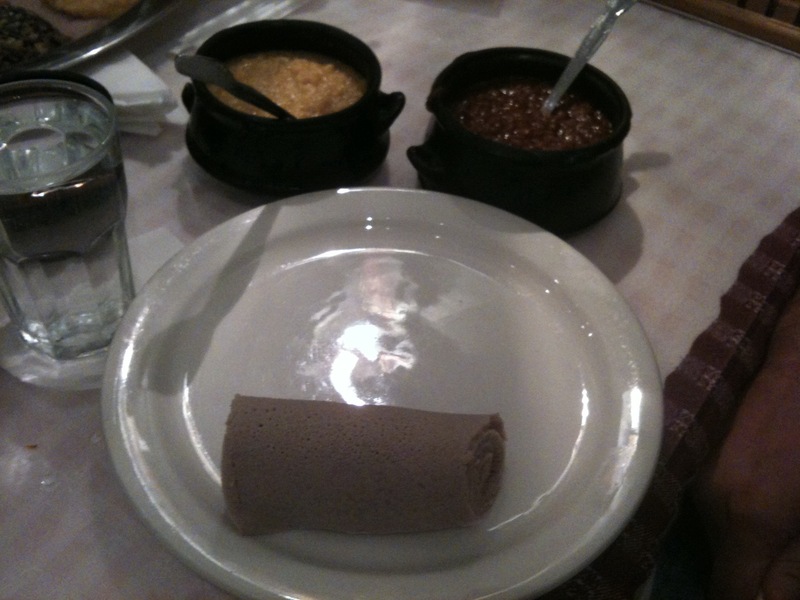 The whole table shared a big basket of injera, which I have grown to love. Super yums! We also tried Ethiopian beer and red wine and it was all quite good! They also offer a coffee service for $25 that you have to order before your meal starts. I’m very curious what that entails.